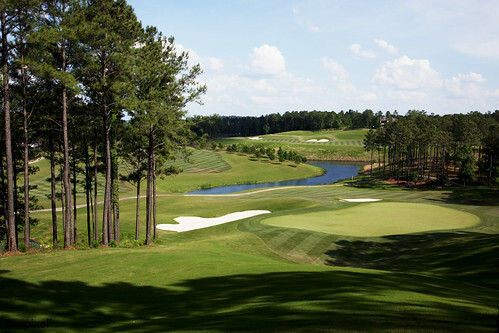 Alabama&#39;s Robert Trent Jones Golf Trail: Ross Bridge. Original image from Carol M. Highsmith’s America, Library of Congress collection. Digitally enhanced by rawpixel. Stunning image from Carol M. Highsmith's monumental Library of Congress Collection. For 38 years Carol has travelled America capturing beautiful moments in time, preserving them for future generations. By donating these images to the Library of Congress she has generously made these images available to the public domain for everyone to enjoy.